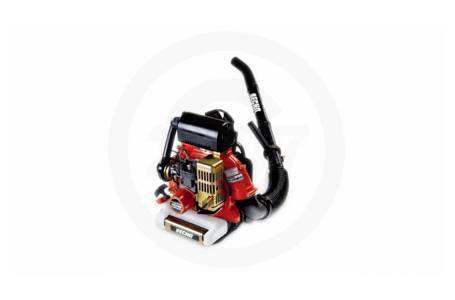 Heavy-duty blower with metal frame construction, metal fan housing and a powerful engine. Heavy-duty commercial-grade air filter for long engine life. Pro-Fire® electronic ignition insures quick, easy starts. Built-in backrest and vibration isolators for greater comfort.